Hon. Linus Abaa Okorie was elected in 2011 to represent the good and diligent people of Ohaozara, Onicha and Ivo Federal Constituency of Ebonyi State. His campaign promises to his constituents, written in his own words is published below. In seeking the support of the good people of the constituency, I pledge to do all that may be necessary to bring the spotlight on Old Ohaozara. I shall proceed to build and/or join such legislative groups or coalitions as may be expedient to attract required government attention and patronage. Specifically, I shall adopt a pro-poor legislative policy knowing that good done to the favour of the poor , positively imparts million own constituency. I would want to be known as the PRO-POOR LEGISLATOR. I shall also do all I am able to push for a legislation that not only legalizes street trading and vending, but creates a federally- funded education programme for the traders as presently the case with itinerant Fulani Herdsmen. This is not to say that one advocates street trading as a preferred occupation for our youths, but a realization that an overwhelming majority of the traders across the country are our people who require urgent government attention and support while we steer others towards formal and vocational education. It also accords with prevailing best practices in other parts of the world, including the developed nations. 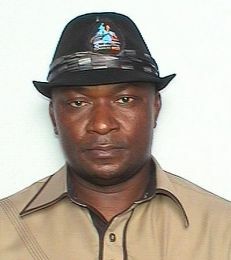 An Old Ohaozara (federal constituency) that compares favourably in living standards; expressed in availability of social amenities, economic opportunities and political patronage with the best in Nigeria; where access to education is universal and street trading is no longer a predominant engagement of our youth population. 1. To put the developmental problems of Old Ohaozara on the national front burner in order to attract adequate solutions to them. 2. To vigorously advocate for well-funded education policy for street traders, hawkers, vendors and other itinerants as bonafide citizens in line with the education for all goal as applicable to itinerant Fulani herdsmen. 3. To canvass for the legalizing of street trading as a legitimate economic engagement under a strict licensing and monitoring system that meets the requirements of modern cities without compromising the economic rights and human dignity of the traders. 4. To assiduously campaign against the high incidence of poverty in Old Ohaozara. 5. Working in concert with NGO’s, to introduce and support a policy of social mobilization, organization and enlightenment that empower groups and segments; especially women, economically and politically for greater social development. 6. To nurture a virile youth population that is educated, skilled, enlightened and productively engaged for positive development. 7. To provide support for the needy through scholarship awards, financial grant, official recommendations and employment-sourcing as the case may be. 8. To support God’s work in all its ramifications in Old Ohaozara. 9. To contribute to the preservation and promotion of our traditional and cultural heritage; including our mother tongue (our dialect). 10. To promote the teaching, learning and application of ICT, especially among the youths in order to bring them at par with modern trends and requirements; and as an avenue of employment and wealth creation. 11. To evolve an equity and participation-based resource allocation system that engages communities and stakeholders in the identification, citing and monitoring of projects. 12. To leverage the efforts of the state government by attracting federal projects to the constituency; different from the usual constituency projects. 13. To seek out and partner with local and international agencies in the key areas of the MDGs for the benefit of the people. 14. To do all that is necessary and possible to encourage, support and sustain the unity, peace and brotherhood of the people of Old Ohaozara as a vital contribution to the overall peace of Ebonyi State. Indeed you are doin a good work. I am from ugwulangwu in ohaozara east. Currently the President of the Noble Pharmaceutical Association of Nig Student. I would like to meet with you. Thank you for your kind comments Nwaeke. I’m out of the country at this time. You can mail me via – leze@happynigeria.org for further discussion on how we can meet.